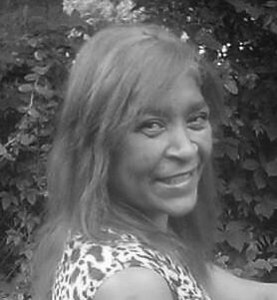 Ana Arroyo, 54, of New Britain, widow of Humberto Santana Arroyo, passed away on Jan. 26, 2019. Born in Puerto Rico, she was a New Britain resident most of her life. Surviving are her loving daughters, Veronica Arroyo Robertson and Veronica’s husband, Lantye Robertson, Maria E. Arroyo, Iris I. Colon Arroyo, and Angelica Arroyo Colon; a step-daughter, Marisol Arroyo; her mother, Ada Iris Colon; her life partner spouse, Sonia Garcia; her brothers and sister, Diana Escalera, Melinda Homar, Alberto Butraigo, and Luciano Colon; 14 grandchildren, six step-grandchildren; and one great-grandson. She was predeceased by a sister, Lillian Butraigo. Funeral services and calling hours will be held on Wednesday, from 10 a.m. to 12 p.m. at Erickson-Hansen Funeral Home, 411 South Main St., New Britain. Burial will be in Fairview Cemetery. Posted in New Britain Herald, on Monday, 4 February 2019 20:21. Updated: Monday, 4 February 2019 20:24.